Looking to pick up a pin and saw Nightmare on Elm Street. I have never played it but it looks cool, is it worth buying? Also what is a decent price for one, the prices seem to be all over the place for it. For around $800-900 it would be buyable, or if you want something that has Frddy Kruger on it badly. You're looking at basically a SS era machine with a DMD; with a worse than average layout. Trying find one with all of the blades attached to the glove is tough. I've never found it to be fun. But that's just one guys opinion. Thanks for all the input . It seems now that I am looking to possibly buy one, none are for sale . There are a few other pins I am interested but Nightmare on Elm Street is probably still tops on my list. Hoping for $1500 because I would need to ship it and nothing locally will pop up in my neck of the woods . It seems now that I am looking to possibly buy one, none are for sale . IMO it's NOT a chasable game. 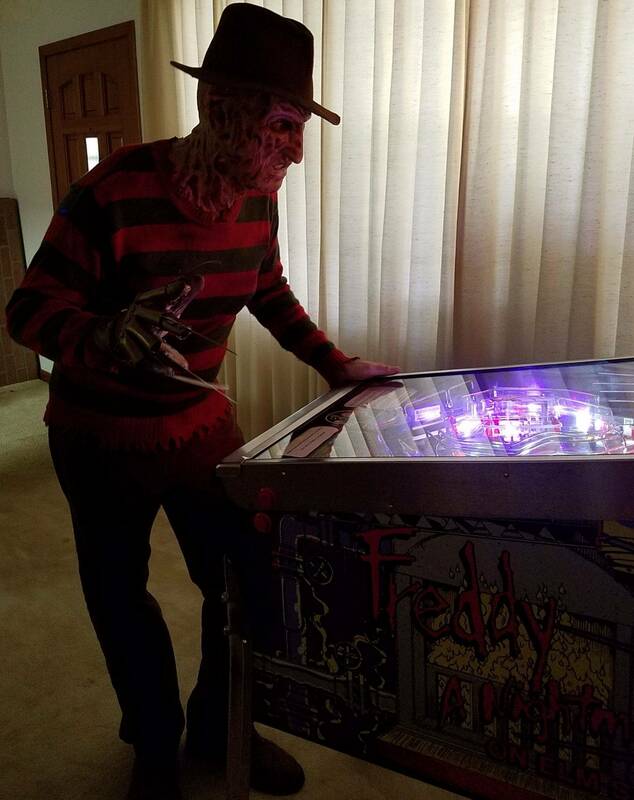 If you're chasing you're gonna be overpaying, and this aint the game to do it unless you're 200% Freddy theme. I think it's a pretty cool game...you never see them for sale anywhere... I'd like to find one someday too. Sys 3 games are very reliable. Good luck with your pursuit! Thanks. I won't be chasing one and over paying, I have only so much I can spend with shipping and factoring the exchange rate. If I find one at the right price I'll buy it, I am not in a big rush to get it. I thought Gottliebs from that era were boingy, sproingy messes (SMB... ugh) so I put in that 50 cents expecting to regret it, but I found it a LOT of fun! Great sound, lighting was perfect, maybe only one or two really "meh" modes. Our arcade's op was forever meddling with the head and the soft targets underneath it trying to get them to stay working, the plastic claw looked really fragile and the claw save had beaten the crap out of the paint in front of it. Not sure I'd want to maintain one but as a HUO machine sure, I'd snag one at the right price. I'd go try to find one and play it, man. Everyone on here hates Gottlieb so you never know if you like it until you try it. Don't let a few opinions scare you off. I agree with Law though, find one for a good price! Pinball is too expensive nowadays haha. I picked up a Tee'd Off since the price was right thinking....aaah this will be cool for a game or 2 now or then....Heck I play a dozen or more games daily on that machine...it's a lot of fun!! Those System 3 games are hidden treasures. I enjoy it more than the Black Rose sitting next to it. I owned one for many years and had LOTS of fun with it... If you're a Krueger fan, it's definitely a must-have! Pay a visit to the Freddy club thread! It's a good game with a lot of things going on for the price range, just not one that will last a long time in a small collection (too linear/repetitve after awhile). We have restored and sold 4 units in the last five years. I enjoy the game. 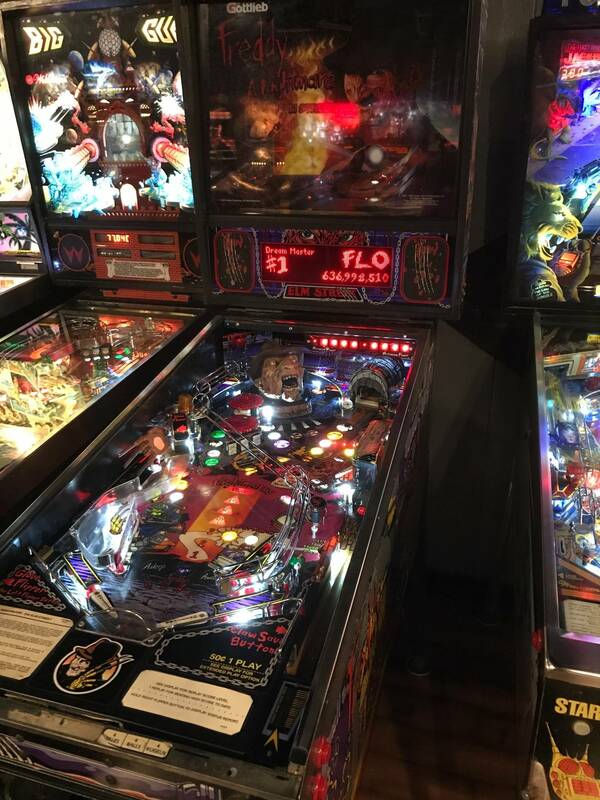 Having it be 100% goes a long way toward the enjoyment of this pinball. There are a handful of games that seem to have universal appeal. Beyond that it really comes down to personal taste. Don't let someone talk you out of the pinball because they didn't like it. Play the game and if you love it buy it. It is an uncommon game so to find one in mint condition will be a bit of a task. You will pay more than some of the prices mentioned. A complete replacement for the hand can be a bit pricey. There is an awesome topper available for the game. Good luck! im going to do a total restore on one.... one of these days.... probably when i retire when i have time. I would like to try it out but there aren't any in my neck of the woods for public play . I was even thinking of the Terminator pins or Johny Mnemonic , but they might be more than I can afford . Has anyone tried Popeye saves the Earth, there are a few for sale and it looks cool. Has anyone tried Popeye saves the Earth, there are a few for sale and it looks cool. Actually I have not; but it is a very divisive game. It really gets knocked hard but some people love it. i had a waterworld. apart from shooting the deez, theres not much else going on. nice hopper callouts though. but solid sys3 pin nonetheless. ive played Frank Thomas Big Hurt a few times, and really liked it. very cool. wouldnt mind having one in the collection.